We’ve said it before and we’ll say it again: Baconfest Chicago is NOT merely a celebration of Bacon-gluttony, (though yes, that’s undeniably the huge selling point – we understand.) 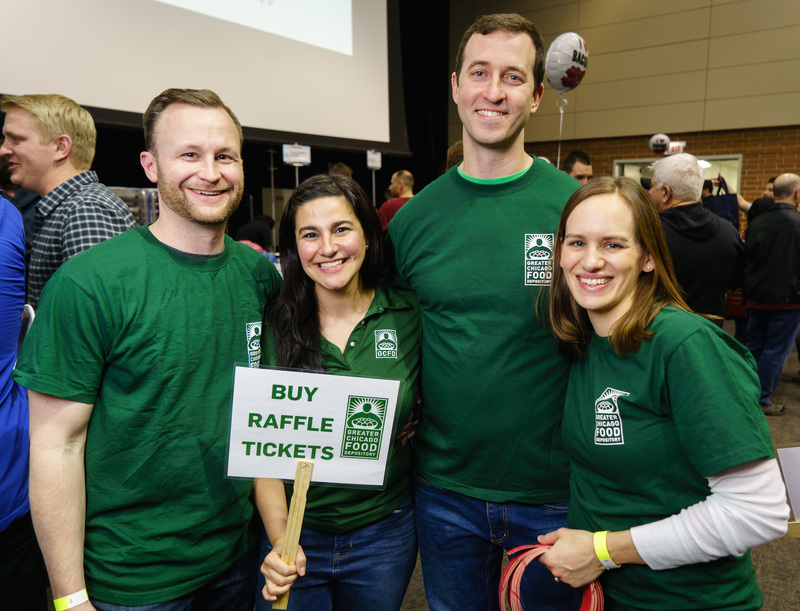 For the ELEVENTH straight year, we, the Baconfest Triumvirate, along with our roster of fantastic sponsors and guest chefs are coming together to support a charity partner we deeply believe in: THE GREATER CHICAGO FOOD DEPOSITORY (GCFD). We are thrilled to collaborate with an organization doing such valuable and necessary work providing food for hungry people while striving to end hunger in our community. In addition to our donation from ticket proceeds, we are also co-hosting a Food Drive and Raffle for the GCFD at the event. 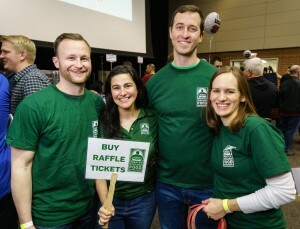 On April 5 and 6, please bring donations of non-perishable food with you to Baconfest Chicago 2019 for our Food Drive. Why? If Karma is not reason enough, guests who bring non-perishable food for the drive will be given raffle tickets to win some truly amazing prizes. For every 2 cans of food donated, guests will receive 1 raffle ticket. Not into schlepping food? Rest assured you can still help by purchasing raffle tickets at the event. Tickets will cost $5 per ticket. $20 will purchase 6 tickets (2 extra for the bulk purchase). 100% of raffle sales goes directly to the GCFD. What are these raffle prizes? See the glorious list below. George Dickel: Bottles of 12-year aged Whisky! MedMar Dispensary: Branded teeshirts and hats! S.A.C.R.E.D. : Rodrigo Cortez makes small-batch, uncertified agave spirits in Miahuatlan, Oaxaca. These 200ml flasks contain a spirit he distilled from 18-year-old arroqueno agave, which was roasted in a stone-lined earthen oven, milled by hand using wooden mallets, and fermented open-air in wooden tanks. His batches never get larger than 80 liters, so these small flasks are a special, rare treat that you’ll likely never see again. Zurer’s Zam Jam: Artisan Jam made by Baconfest Chicago co-founder Seth Zurer. Got tix for BFC? Toss a few cans of food in a bag and bring them down to the Food Drive for some raffle tickets! Best, most Bacony raffle in town, guaranteed! Thanks Bacon Nation. See you soon! !